Aluminium Foil Composite Sacks from Bulk Handling Australia are manufactured using premium grade raw materials. They are manufactured in accordance with international quality ISO standards. These Aluminium Foil Composite Sacks are composed of three to four plies laminated together using adhesives or extrusion coatings. Each layer serves a vital purpose. 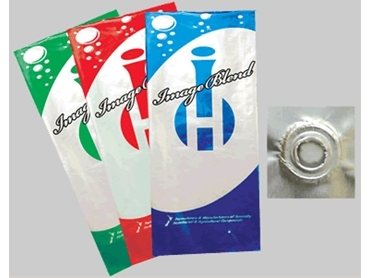 These Aluminium Foil Composite Sacks maintain humidity levels below 40 RH inside the package. They have an excellent capacity to resist moisture. Metalised PET/PE laminated with or without PE liner. Applications for aluminium foil composite sacks include dried foods, food ingredients, tea & coffee, animal feeds, chemicals, and pharmaceuticals.